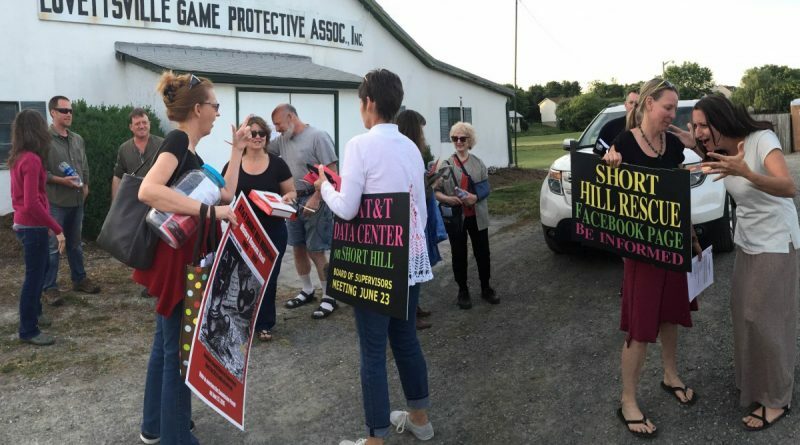 County staff backed out on a meeting with the Lovettsville Town Council and citizens about the Short Hill Mountain project scheduled for Thursday. “County Administration has advised our office that tonight’s Town Council meeting would not be an appropriate venue for discussions on an application that is under active consideration by the Board of Supervisors and has the potential for future litigation,” said Stacy Carey, senior staff aide to Catoctin Supervisor Geary M. Higgins (R), in an email to Lovettsville Mayor Bobby Zoldos. Although Carey said she and the rest of Higgins’ office were and are still available to meet, after town staff cancelled, the town council called off its meeting. There is confusion over why the meeting was cancelled. Carey said county staff backed out to avoid inappropriately influencing a vote by the Lovettsville Town Council. The council is expected to vote on a motion opposed to the Short Hill project on June 16, and may have taken that resolution up on Thursday. “Staff’s presentation would determine how the action item would play out, and that being support or not support for the resolution, that they felt that wasn’t an appropriate forum for our staff to be playing a role with the town council,” Carey said. Loudoun County public affairs officer Glen Barbour said there was a misunderstanding about the purpose of the meeting. 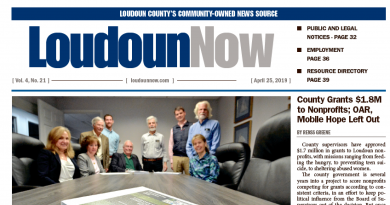 “My understanding of the situation is that the council invited staff to participate in a meeting for an informational item, but it turned out that the item was an action item for the council and that our staff had no role in that action item, and therefore our staff informed them that there was no need for us to attend the meeting,” Barbour said. “The county’s line was that it did not want to get in the middle prior to the Board’s [of Supervisors’] own discussion,” Lovettsville Mayor Bob Zoldos said Monday. “I get that, but Lovettsville area residents need to be heard,” he said, noting Director of Planning Ricky Barker was to be present June 9. And even though the council meeting was cancelled, Lovettsville came out anyway to talk and strategize. The mountain is in clear view from the town. “We’re really trying hard right now to focus on being helpful to the supervisors, because the feeling right now at this moment is that we’re still all hoping they’ll do the right thing and deny this,” said Sage Chandler, who was at the impromptu meeting in the parking lot of the Lovettsville game club. She estimates about 25 people turned out to the meeting. Chandler said she and other Lovettsville residents are focusing on providing the Board of Supervisors a legally sound basis for overturning the project’s commission permit. She said they have also reached out to state and federal officials. There has been speculation that the current, underground facility on Short Hill houses a clandestine federal facility. The Board of Supervisors has scheduled a vote on the commission permit for June 23. “We don’t have jurisdiction, but it does affect us,” Zoldos said. He and Councilman Rodney Gray drafted the resolution opposing the project. Margaret Morton contributed to this report.